It’s all about light – discover the exceptional. ArtLight reports on light and art and all connected with light: light architecture, lighting technology, festivals, events, exhibitions, art events in museums or in public places as well as philosophical or scientific subjects – it’a all about light. 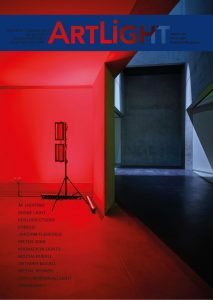 This sophisticated magazine is a magazine for all those who are interested in lighting: designers, architects, artists, city planners, media designers – for those who are interested in light in all its facets. 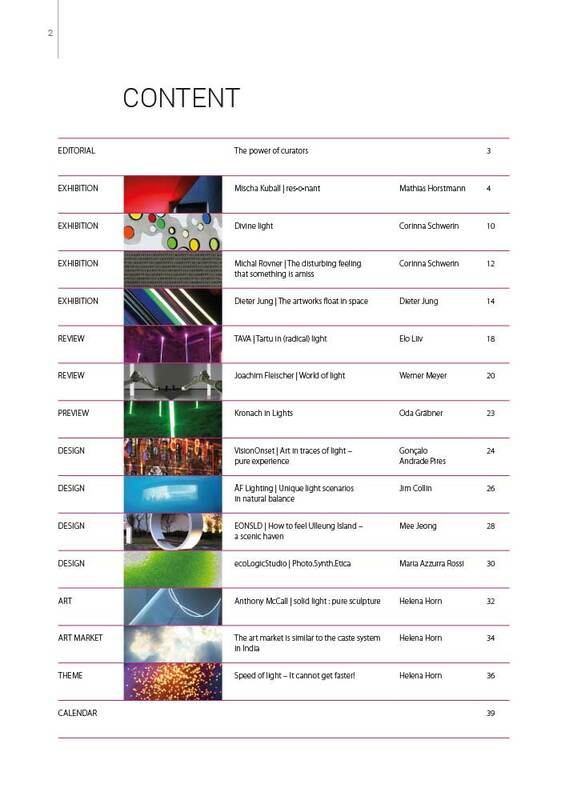 ArtLight/print is published quarterly – ArtLight/online always is up to date. ≡ Understand the creative sector as an interdisciplinary whole with intelligent features, articles and critical reviews. ≡ Enjoy intelligent and beautiful articles about exhibitions and exciting interviews with artists and curators, with architects and scientists or lighting designers worldwide. ≡ Find up-and-coming names and fresh talents, as well as new styles of already established artists, who mark the very best. ≡ dedicated with great sensitivity and knowledge of art and its market value we provide tips for initiates, beginners and investors from many areas. ≡ The magazine and online content stylishly combine editorial with compelling critical debate. ArtLight always pushes boundaries — keeping you best informed and inspired.